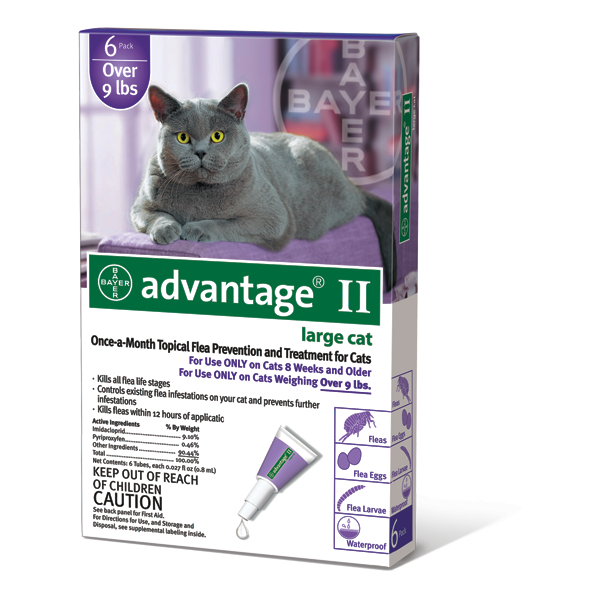 Advantage II takes superior flea control to the next level with the addition of the insect growth regulator (IGR) pyriproxyfen. 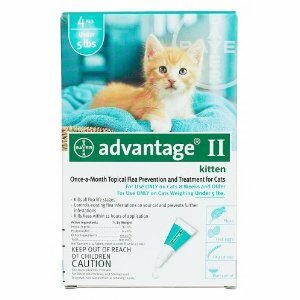 New and improved Advantage II now actively targets the entire flea life cycle for effective treatment of existing fleas and prevention of flea infestation. 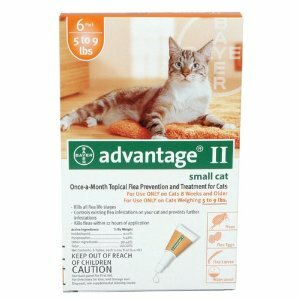 Advantage II still contains the proven active ingredient, imidacloprid, found in Advantage, which kills 98-100% of adult fleas within 12 hours, stops fleas from biting in 3-5 minutes, and kills re-infesting fleas within 2 hours. The result is fast-acting relief from biting adults whether your dog has fleas or picks up fleas from another animal. Advantage Flea Control remains efficacious following a shampoo treatment, swimming, or after exposure to rain or sunlight. Place the applicator tip through the cat's hair to the skin on the neck at the base of the skull and release all of the tube's contents on a single spot directly on the skin. In case of severe flea infestation, re-treatment may be necessary earlier than four weeks. Do not retreat more often than once every seven days. After flea control is attained, return to a monthly retreatment schedule.